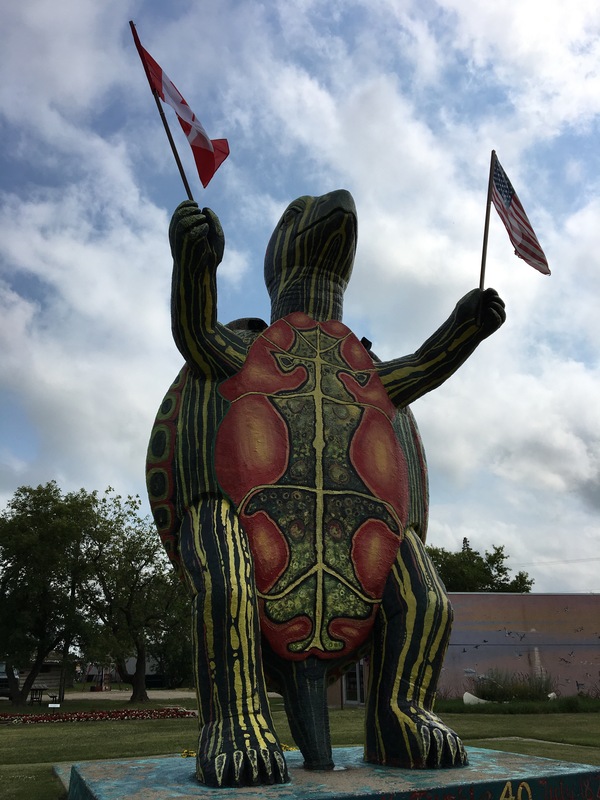 We’re going to be completely honest here, we didn’t take in all that the enchanting little town of Boissevain has to offer as it was a quick stop for us on the way from Souris to Turtle Mountain. 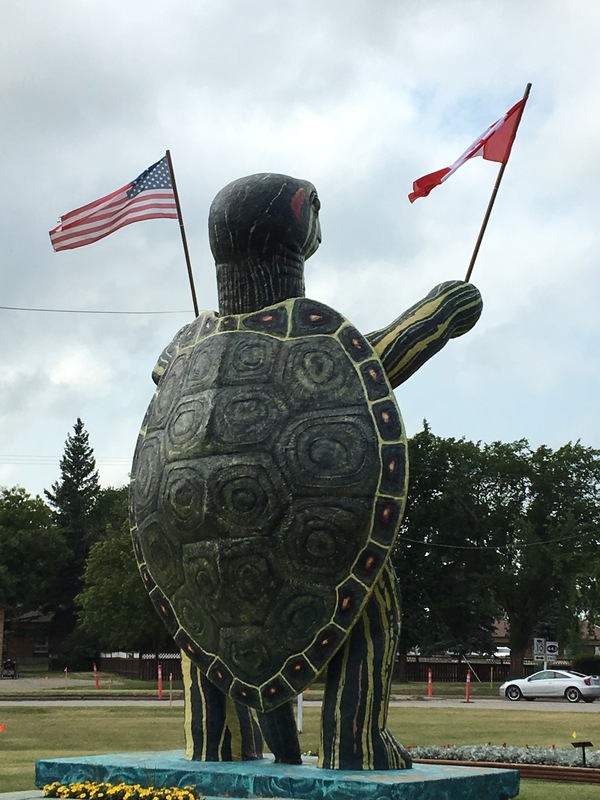 From outdoor murals to an arts park, to a HUGE GIANT STANDING-ON-HIS-HIND-LEGS turtle statue, to floral displays and a wildlife museum and a big bear statue too, this is a very pretty little town to stop and look around in. (It is also a good place to stop for ice cream floats fyi). Boissevain is a Travel Manitoba Star Attraction Destination located in the South West area of Manitoba, and is about a 3 hour drive from downtown Winnipeg. 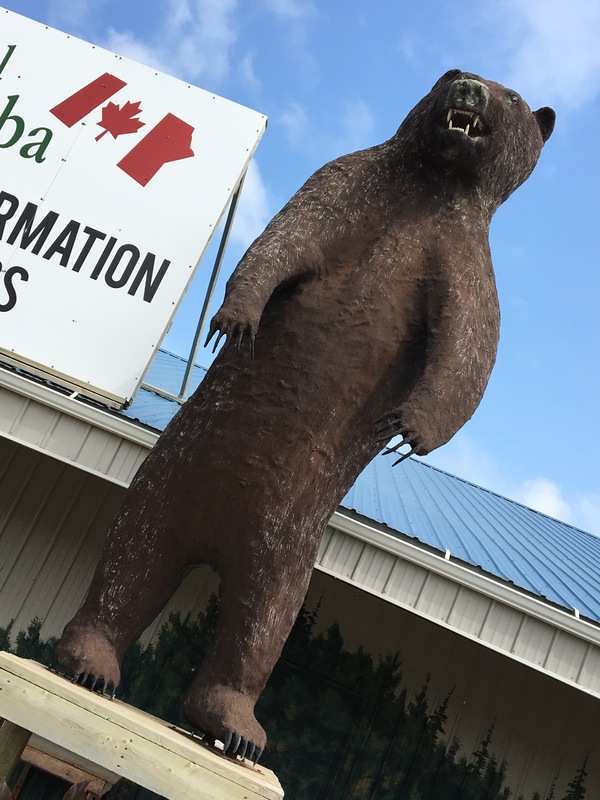 If you stop in at the Wildlife Museum (next to Tommy the Turtle and the big giant bear), they have all of the information you need for exploring this beautiful little town. 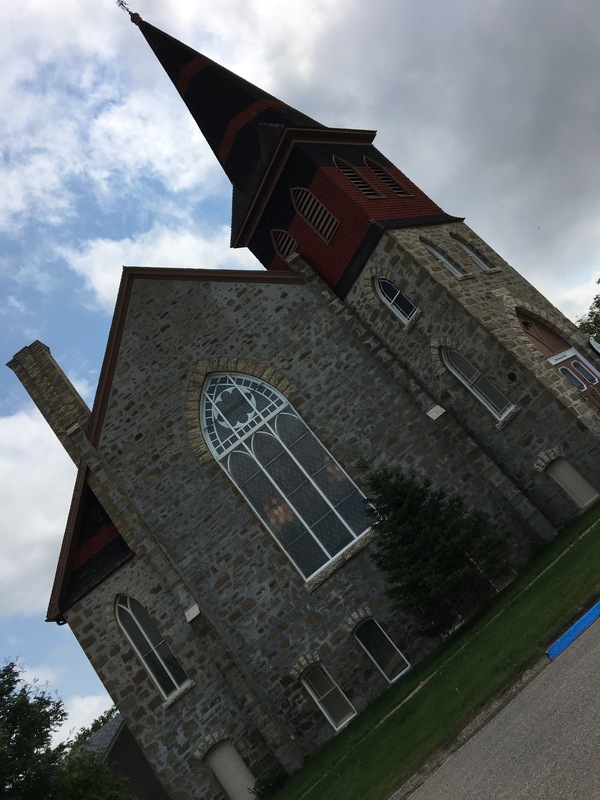 We’ll be back to explore more of you, Boissevain!